Welcome to Fishing Northeast.net, your home about everything fishing, and then some, in the Northeast. This website is put together and run by our “semi-professional” crew compromised by members from our highly successful fishing group forums on Facebook. If you are not a member of our Facebook groups, we highly recommend you join one or more today by choosing the state you wish to visit , each state has its personal facebook page. This website is put together to help spread the word of the great fishing opportunities and experiences that anglers possess from across the Northeast. The articles that you read, the videos that you see, the tutorials that are published come directly from our members. 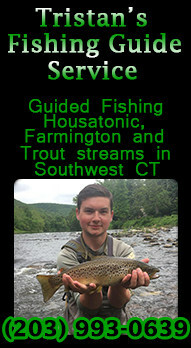 Fishing Northeast.net started out as a solo state fishing group on Facebook, Fishing CT. Scott Garland, the creator, envisioned a place to share knowledge, experiences, reports and photos among other fishing buddies while his time on the water diminished and fatherhood took over. Fishing CT has been successful in finding two stolen boats (within hours of being reported), even appearing on FOXCT 61 news for one of these. Members saying they have not fished in years for one reason or another but by joining the group and seeing the pictures and talk of the group they have gotten back into it. We have even had a member talk about being in and out of jail, always being on the street. He took up fishing and joined our group, when not fishing he spends his time on our page which keeps him off the street and out of trouble. Many of our members now have new fishing buddies and friends for life as they have met one another off the group. 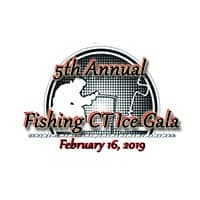 With the successful Fishing CT group forum and the members that were joining from surrounding states, Scott decided it was time for expansion into the rest of the Northeastern states, each with their own fishing groups on Facebook with the same general concept. Now we embark on our next journey, this website to bring all of the states together in one place. Take a look around, content will change frequently…sometimes daily. Submit recipes, stories, photos, videos and ideas. All photos submitted on our Facebook groups are eligible to be in our photo galleries. You can and will be part of this website/groups growth. We are here for you, the angler. Help support the local businesses as well by checking out our sponsor advertisements located throughout the website. Sponsors will also be doing giveaways, having contests and special discounts only available on this website, so check back frequently. To each and every one of you, good health, tight lines and wet nets my friends.